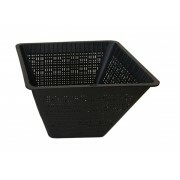 MDI Round Pond Planter Large 23x23x13cm Ideal for planting margin plants or lilies in your pond. 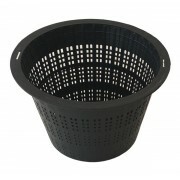 All of our high quality rigid planting baskets have a fine mesh construction to minimise soil leakage into the pond. They are specially manufactured to allow maximum water flow through the root sys..
MDI Round Pond Planter Small 16x16x10cm Ideal for planting margin plants or lilies in your pond. All of our high quality rigid planting baskets have a fine mesh construction to minimise soil leakage into the pond. They are specially manufactured to allow maximum water flow through the root sys..
MDI Square Pond Planter Large 29x29x19cm Ideal for planting margin plants or lilies in your pond. 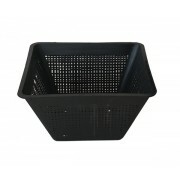 All of our high quality rigid planting baskets have a fine mesh construction to minimise soil leakage into the pond. They are specially manufactured to allow maximum water flow through the root sy..
MDI Square Pond Planter Medium 25x25x14cm Ideal for planting margin plants or lilies in your pond. 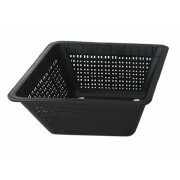 All of our high quality rigid planting baskets have a fine mesh construction to minimise soil leakage into the pond. They are specially manufactured to allow maximum water flow through the root s..
MDI Square Pond Planter Small 21x21x9cm Ideal for planting margin plants or lilies in your pond. 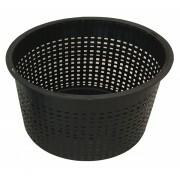 All of our high quality rigid planting baskets have a fine mesh construction to minimise soil leakage into the pond. They are specially manufactured to allow maximum water flow through the root sys..